Let's begin at the end. The screen grab below which we will see again later in the story was taken on board Apollo 14 on its way back to earth from its highly successful moon mission. 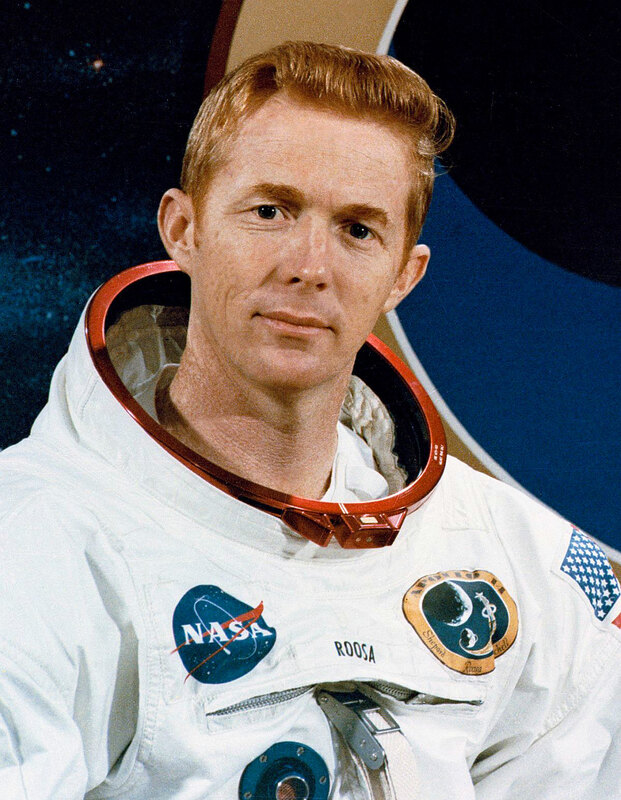 You are looking at the first conclusive photographic evidence that NASA Apollo 14 Astronaut Stuart Roosa (pictured above) wore his Pepsi GMT-Master (pictured below) to the moon and back!!! In the photo below we see the prime crew of the Apollo 14 lunar landing mission. 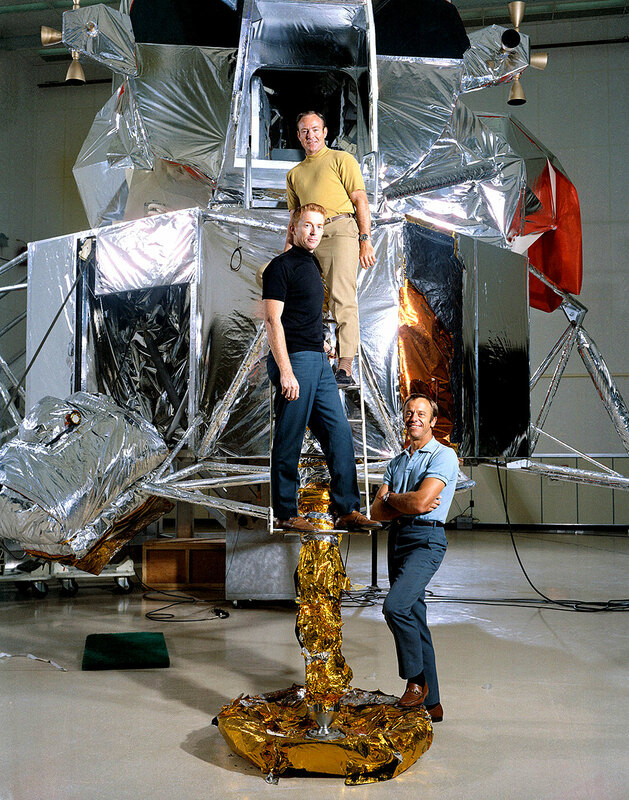 From left to right we see Commander Stuart Roosa, Alan Shepard Jr., and lunar module pilot Dr. Edgar Mitchell. 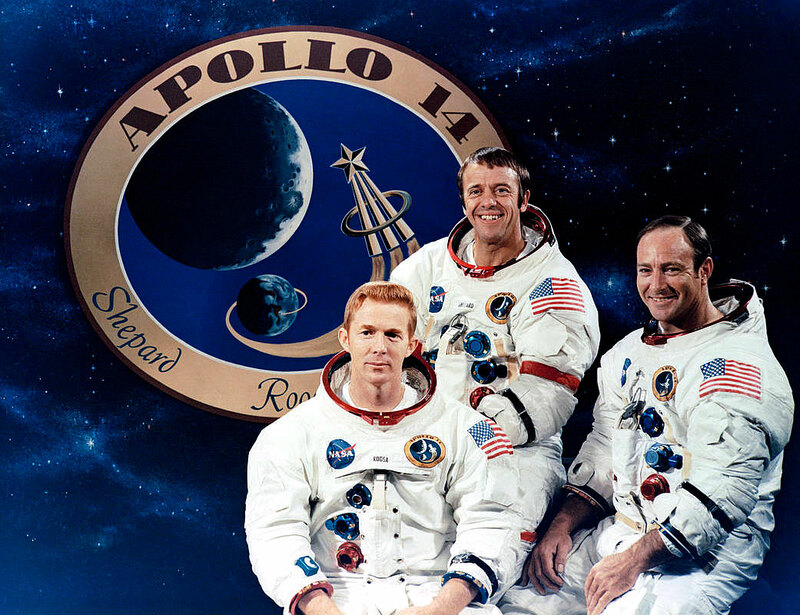 In the past, I wrote a comprehensive story about the crewmembers of Apollo 14 wearing Rolex GMT-Master models. 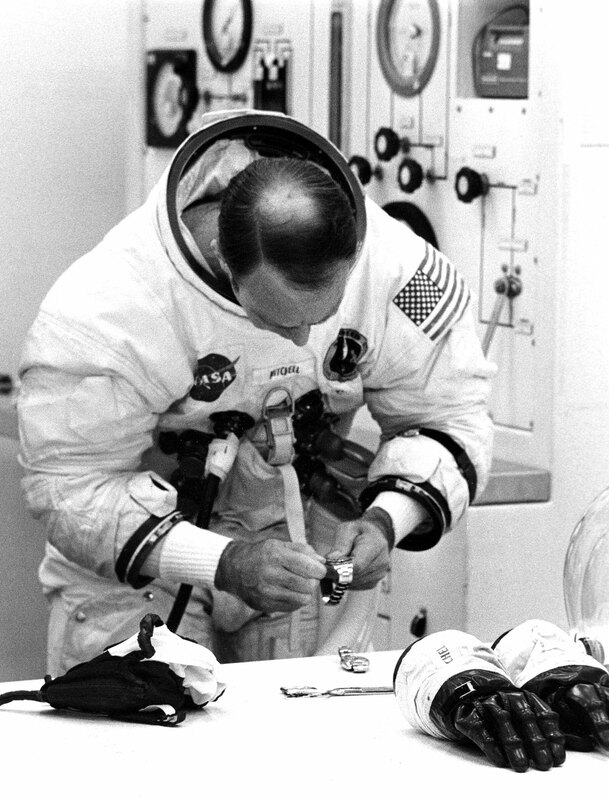 In the photo above we see Dr. Edgar Mitchell putting two Pepsi Rolex GMT-Master models on his wrists as he prepared to go to the moon. 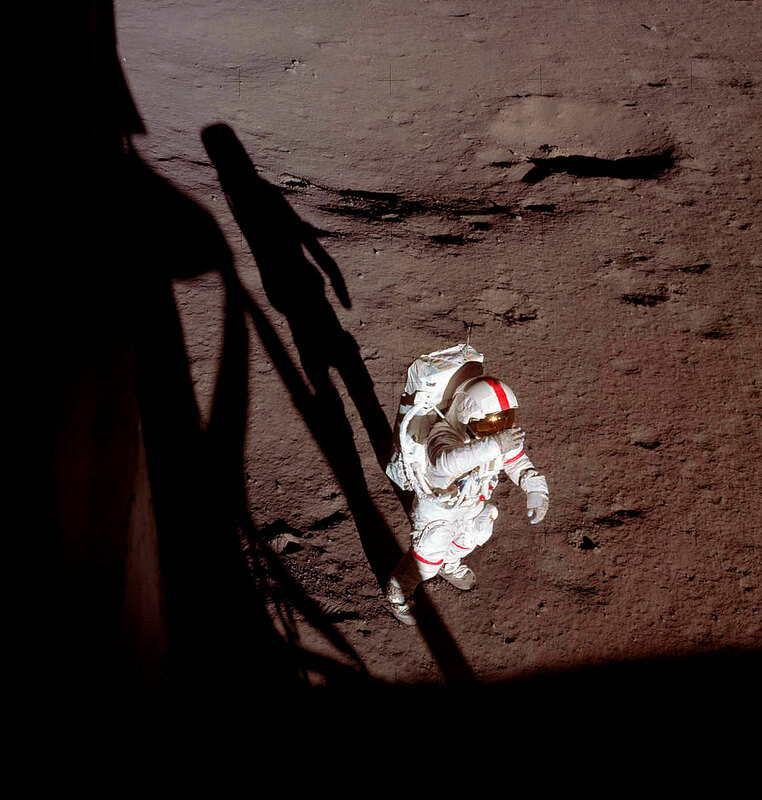 In the photo below taken by Dr. Edgar Mitchell, we see Alan Shepard just after he stepped foot on the moon for the first time. Years ago I published the three images below onboard the Command Service Model (CSM) Kitty Hawk. In the photo above we see NASA Apollo 14 Astronaut Alan Shepard on the right. 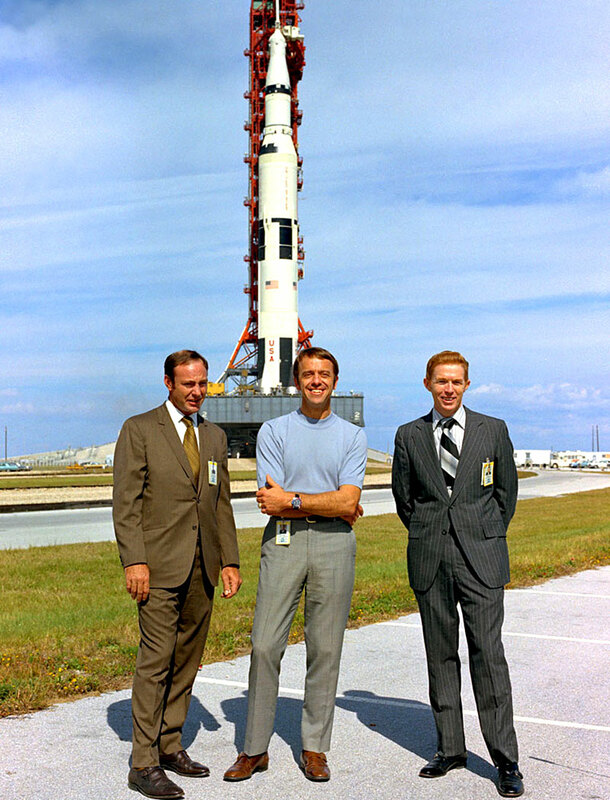 Alan Shepard in pictured below in between his fellow Apollo 14 crewmates, Dr. Edgar Mitchell (left) and Stuart Roosa (right) in front of the Apollo 14 at Cape Canaveral. 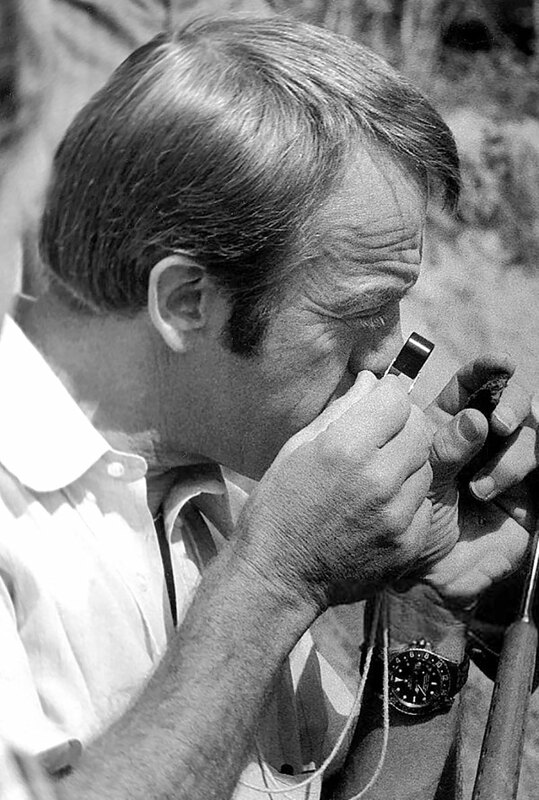 In the photo above and below we see Alan Shepard wearing his Pepsi GMT-Master. 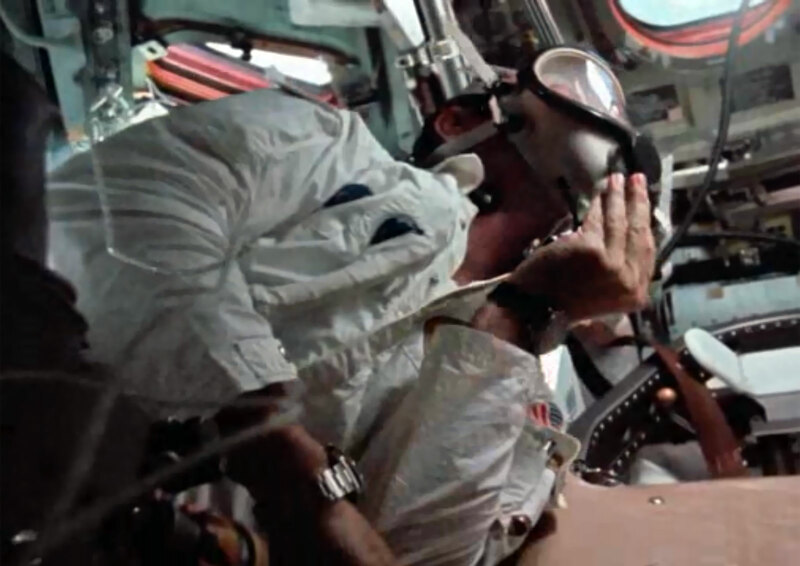 In the photo below we see Dr. Edgar Mitchell on the left in the Apollo 14 command module on February 6, 1971, at 18:48:42 UT, and notice he is wearing his Pepsi GMT-Master on his right wrist. 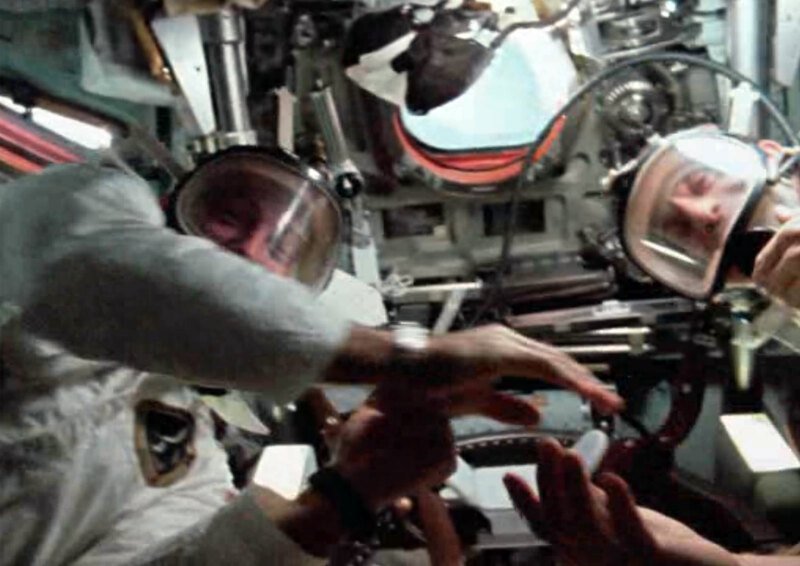 In the next image, we see Dr. Edgar Mitchell reaching out to Alan Shepard to shake his hand. The newly discovered screenshot below was originally filmed on February 7, 1971, as the CSM Kitty Hawk made its way back to earth. This photo shows Stuart Roosa wearing his Pepsi GMT-Master. 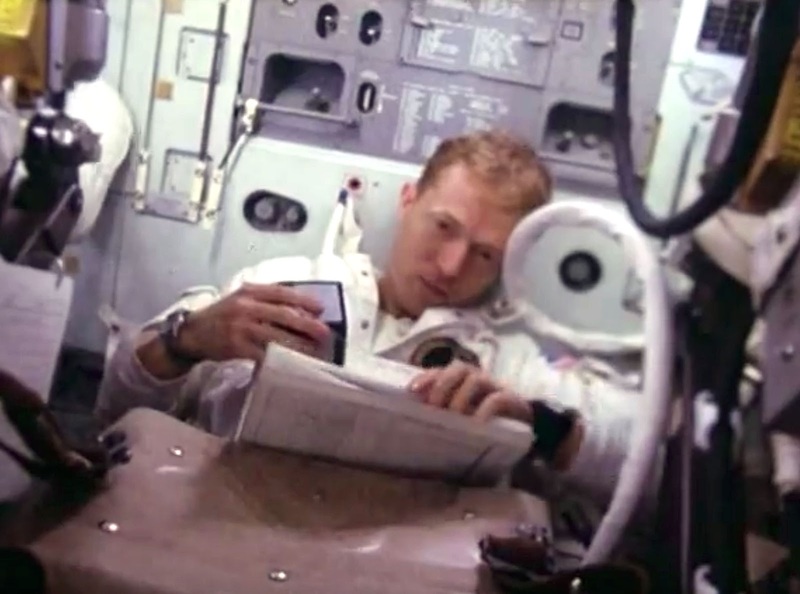 It is a fact that all three Apollo 14 crew members wore Pepsi Rolex GMT-Master models, but this appears to be the first evidence that shows and confirms Roosa doing so!!! In the video below titled "Apollo-14: heat flow and convection experiment." 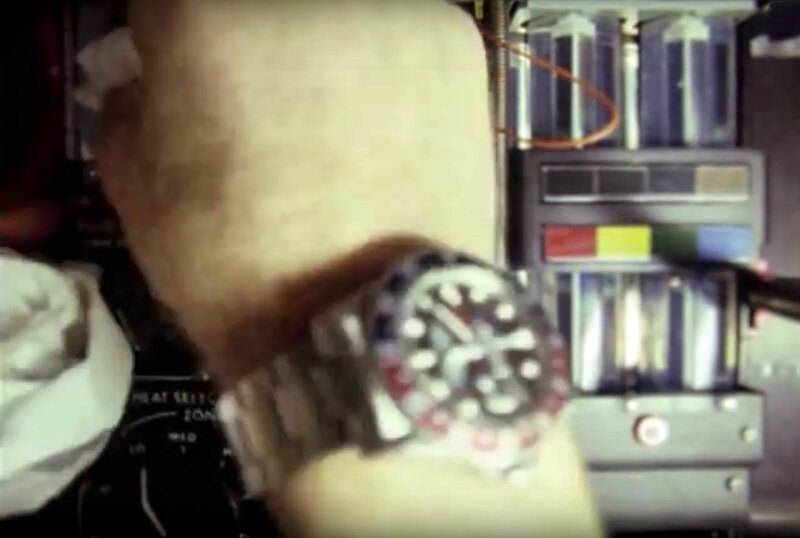 if you watch carefully at 0:29 seconds, you will see Stuart Roosa's GMT-Master. 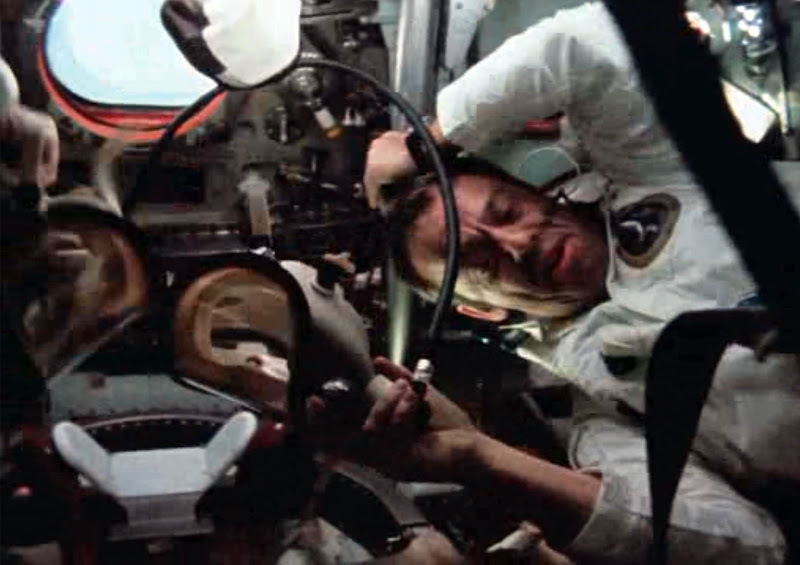 This video footage was shot in the Apollo 14 Command and Service module named "Kitty Hawk." We also know it is Stuart Roosa's wrist as he had much lighter skin that Mitchell or Shepard. 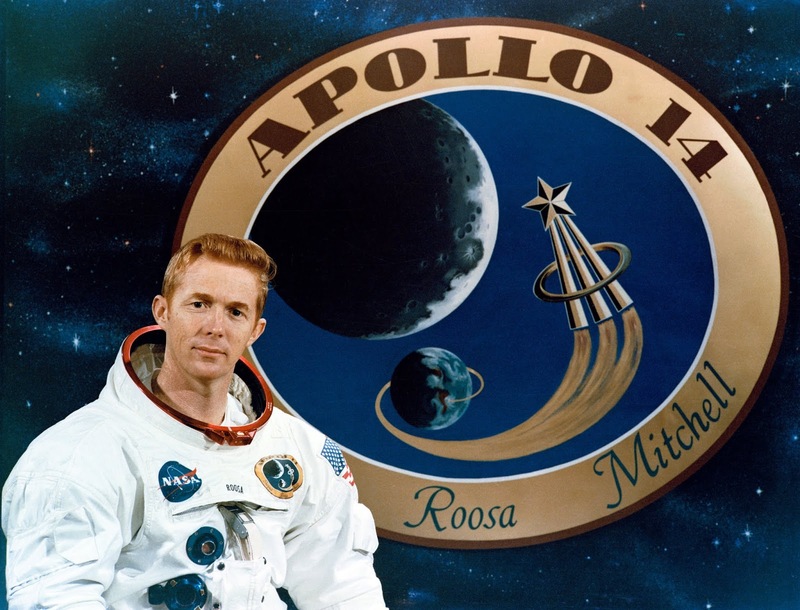 NASA Apollo 14 Command Module Pilot Stuart Roosa is pictured below wearing his Pepsi GMT-Master on his right wrist. Despite the fact I had seen this footage before I was never able to make an up-close positive ID on his Pepsi, but now we have uneqivocal evidence that support this fact. 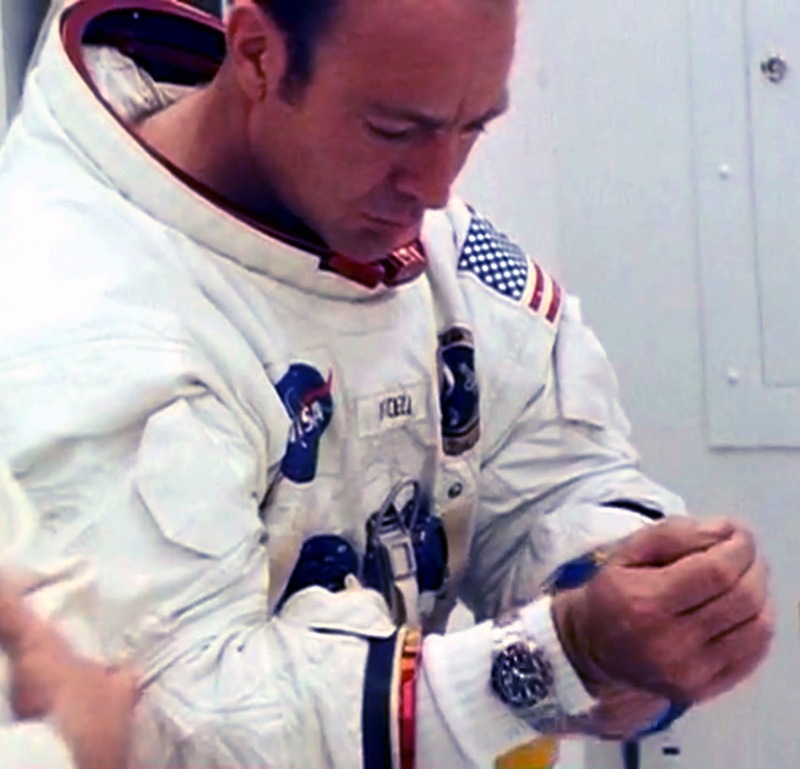 The video below that shows both Dr. Edgar Mitchell and Stuart Roosa wearing their Pepsi GMT-Master models on board Kitty Hawk on their right wrists. So basically, they are wearing Omega Speedmasters on their left wrists and Pepsi GMT-Master models on their right wrists. So there you have it! All three NASA Apollo 14 Astronauts wearing Pepsi GMT-Master models!!! If you want to learn much more on the about the lineage of the GMT-Master, including its role in outer-space, be sure to check out my story titled, "The Complete History of The Rolex GMT-Master."